Please stop by and see this immaculately maintained single story home in Park West. This picture perfect home is light and bright with gorgeous Brazilian cherry wood floors, & features a breakfast nook with bay window off the kitchen, an open living/dining area with vaulted ceilings and a wood burning fireplace. The sunroom adds extra living space, and leads to a wood deck and backyard with lovely tree buffer for privacy and charm. The master suite with vaulted ceiling and bay window overlooks the private backyard, and features a master bath with garden tub, separate shower, dual vanity, and walk-in closet. This home also offers a newer roof (2014), a newer water heater (2013), new carpets in the bedrooms (2016), is freshly painted inside, and includes a generator. 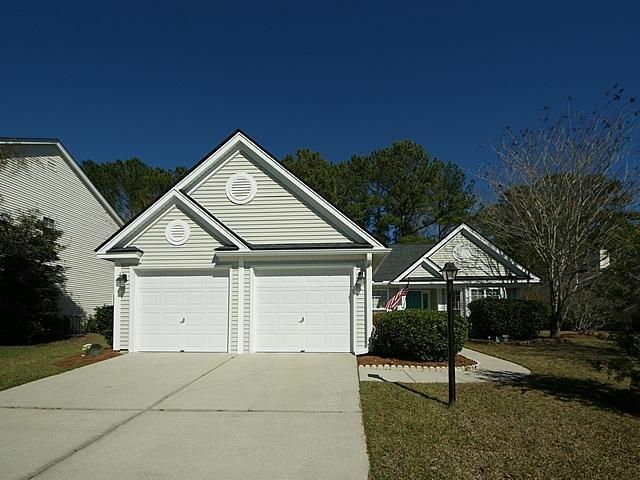 Neighborhood amenities include 2 pools, tennis courts, playground, walking/jogging trails. Park West is close to retail and professional services including grocery stores, restaurants, medical, dental and Mt. Pleasant Hospital. Mt. Pleasant Recreational Center is nearby.